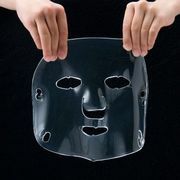 Do you have worries on wrinkles and skin sagging? It's not yet the end of the world for those worries! Here is the best skin care to answer your problems! 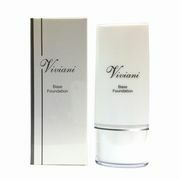 VIVIANI NANO GOLD is made up of "spun gold method of treatment", a facial esthetic lotion that penetrates deeply beneath the surface layers of the skin. 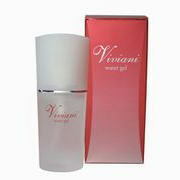 VIVIANI NANO GOLD helps your skin cells active and treats fine lines (wrinkles) and stretches up a zagging part of your skin. 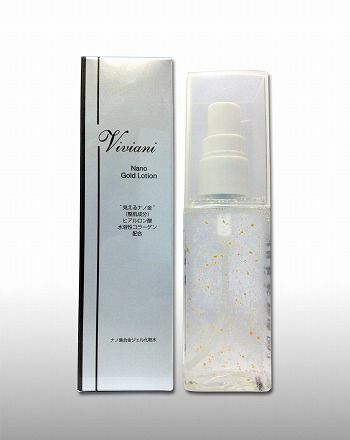 VIVIANI NANO GOLD facial lotion has an advanced effect that does not block from the spray nozzle, proving that nanozation gold packaged in this product has a good effect to the deepest part of your skin cell unlike from an ordinary lotion. A recommended facial lotion by esthethic professionals! A made up of "Spun gold method of treatment"
After washing your face,put a two-push of spray on your clean hand and gently tap on your face.Mag spray ng dalawang beses sa malinis na kamay pagkatapos maghilamos at bahagyang itapik tapik sa mukha. List Price 4,935yen → 20% Commemorative Discount!